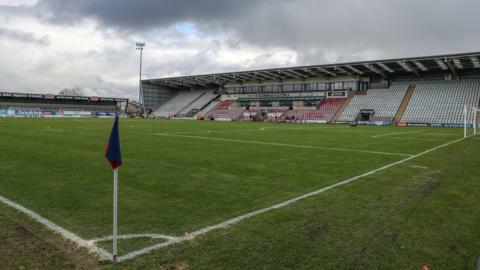 Morecambe co-chairman Rod Taylor says they have to move forward after securing their League Two status. Morecambe and Grimsby share the spoils in a drab draw as Charles Vernam's late goal secures a point for the Mariners. Watch highlights as Cameron King's fine individual goal earns National League side FC Halifax Town a first-round FA Cup replay win over League Two Morecambe. The Robins derby - think you know your EFL animal nicknames? Read more on The Robins derby - think you know your EFL animal nicknames? A first win for Leeds and a scorer born in 2000 all feature in our round-up of things you may have missed in the EFL.